If you've hung around Christian believers much, you've probably heard someone say, "the Lord told me..." or "God spoke to me." You might wonder if they're hearing voices no one else hears, or whether it's possible to personally hear God speak. Our basic guide for hearing God speak is the Bible and the Holy Spirit. But there is a time in history when God spoke clearly and in person, when He came to earth. In the past, God spoke to our people through the prophets. He spoke at many times. He spoke in different ways. But in these last days, he has spoken to us through his Son. He is the one whom God appointed to receive all things. God made everything through him. The Son is the gleaming brightness of God's glory. He is the exact likeness of God's being. He uses his powerful word to hold all things together. To whom did God speak in past times? Through whom and how did He speak to them? How has God spoken in latter times and through whom did He speak? How is this relevant for all people? What are we told about God's Son? How is He greater than the prophets before Him? What are the descriptions and explanations given about Him? What does this tell us? This scripture text reveals two important things about God's Son—who He is and what He did for all humanity. We're told several things in these three verses. First, God didn't just speak through prophets, He came to earth and spoke in person through His Son—Jesus Christ. He is supreme (sovereign) over all things and people. Jesus is the one who spoke all things into existence as Creator (Gen 1:3), and sustains all creation through His powerful word (also see Col 1:17). He reveals God's very essence as the Light of the world, and the perfect picture of God the Father (John 14:9). Because of who He is, He provided a way for all people everywhere to be free from the dominion of sin. He proved this by rising from the dead to sit at the place of authority next to His Father. I also see what I call the Essential Gospel—He (Jesus) Came, He Died, He Rose. All of this is the foundation for what is revealed in the book of Hebrews. If God has spoken, what did He say and how did He say it? If God spoke in person, shouldn't we listen and hear what He says? What has God spoken to your heart in these verses? How is what God made known relevant to everyday life? How is it relevant for you? 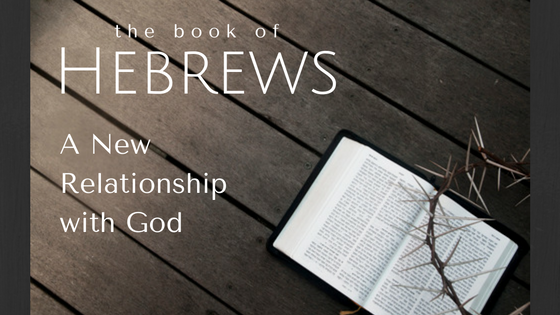 I'm working on a brief study guide for the book of Hebrews, so stayed tuned!